The name in Campidano dialect means 'great gorge'. It is a canyon crossed by the torrent of the same name and covered in greenery: one of the most popular destinations for hiking enthusiasts. The regional park of Gutturu Mannu extends through the territory of ten Municipalities in the southwestern part of Sardinia: three near Cagliari - Assemini, Capoterra and Uta, where the oasis of Monte Arcosu lies; another seven in the Basso Sulcis area, where the forests of Piscina Manna - Is Cannoneris are located: Domus de Maria, Pula, Santadi, Sarroch, Siliqua, Teulada and Villa San Pietro. One of the largest forests in Italy is located inside the park: 35 thousand continuous hectares of priceless nature value. 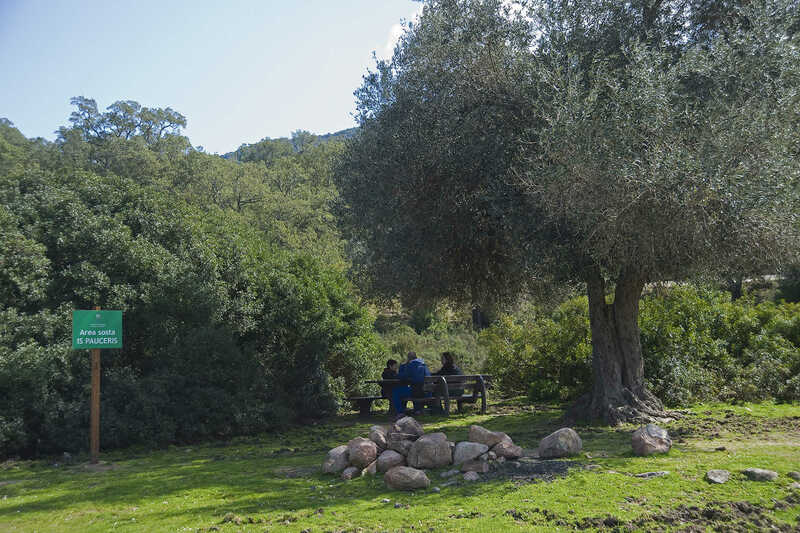 You will find yourself in dense holm oak forests, particularly between 700 and one thousand metres of altitude, you will see yew and holly trees in the most remote clefts and you will admire beautiful cork oaks in the central part. 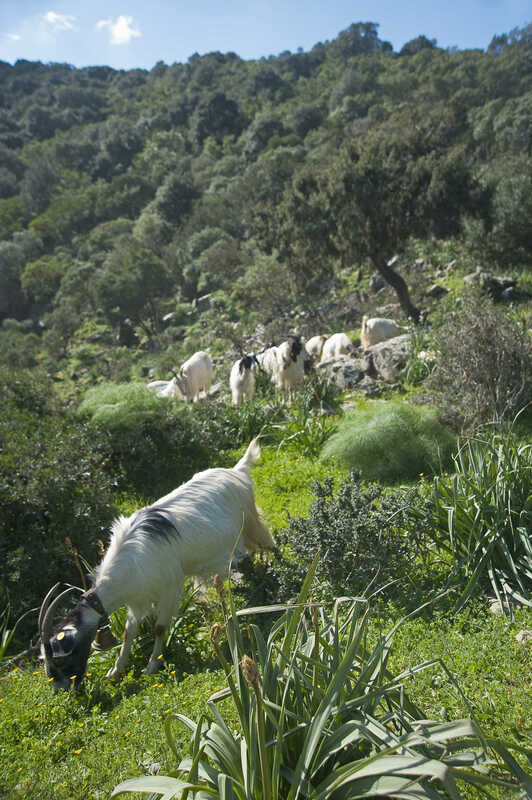 You will be inebriated by the Mediterranean scrub that fills the air with its fragrance: carob trees, strawberry trees, heather, arborescent phillyrea, mastics, myrtle and wild olive trees. Beyond the green expanse, you will be struck by the picturesque torrents and springs. You can enjoy the shade, especially on hot sunny days, or go for walks in spring and autumn, surrounded by the sounds of nature. You will quite possibly come across endemic species of Sardinian wildlife, like the deer, the goshawk and the Italian cave salamander. The park has three oases of protected wildlife: Pantaleo, Gutturu Mannu and Monte Arcosu, which is the property of the WWF, where the fallow dear wanders freely, and Piscina Manna-Is Cannoneris. The undisputed predominant species is the wild boar, but other animals populating the area are weasels, wild cats and foxes. It is not unusual to see the golden eagle, the peregrine falcon and the buzzard flying overhead. If you want to take a break, you will find picnic tables in the Fanebas site. Before setting off again, visit an area in which archaeologists have discovered artefacts from the Nuragic period to the Early Middle Ages, a mountainous corner where history and nature have come together to create a very charming mosaic. 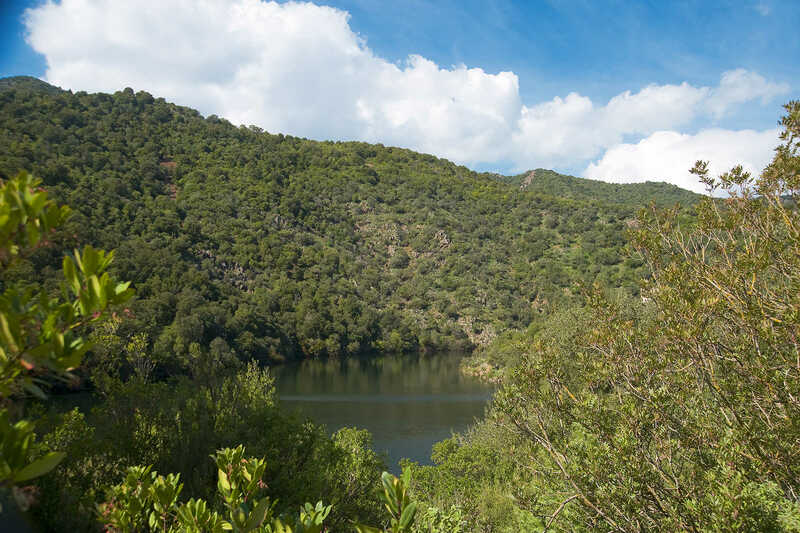 The area can be reached from either the village of Santadi or from Cagliari, along provincial road Macchiareddu-Santadi which crosses the forest. It is also linked with the public forest of Tamara Tiricu and Pantaleo to the west and with that of Is Cannoneris and Monte Nieddu to the south.